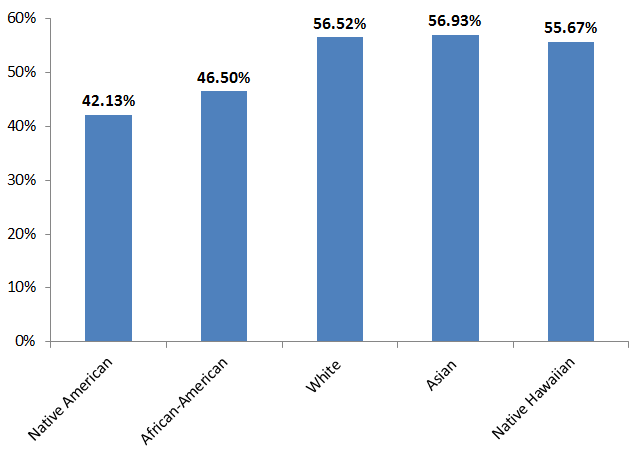 These data were revealed in one of Gavop’s latest studies, using statistics from the Home Mortgage Disclosure Act (HMDA). The study examined approval rates in Houston between 2013 and 2017 and found that home purchase loan approvals outperformed refinance and home improvement loan approvals each year. Compared to national values, refinance loan and home purchase loan approval rates were up to 10% lower than the national values between 2013 and 2017. During the same period, home improvement loan approvals were over 10% less than the national figures. This means that Houston has below average approval rates compared to the national standard rates. The approval rate for refinancing loans decreased by around 7% in 2017 compared to the 2013 rate. From 2013 onward, approval rates for home purchase loans were consistently higher than those for other loans. 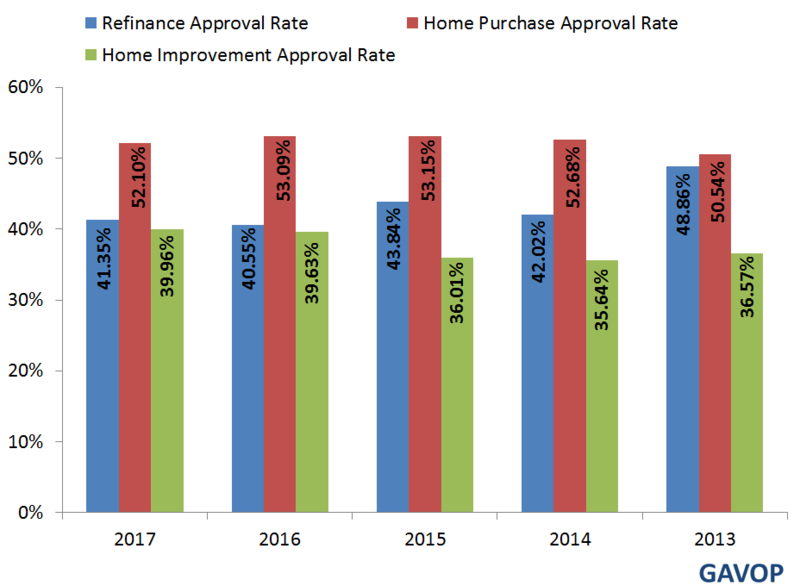 The second highest approval rates were for refinance loans, followed by those for home improvement rates.The following graph shows the level of approval rates for each loan type over the five-year period. Additionally, Gavop studied loan originations for this city. In the last five years, 2013 saw the largest number of loan applications, while 2017 had the lowest number. The following table compares total loan applicants to total loan originations. In most cases, loan originations refer to all the steps taken by a lender after an application, and up to the point of fund disbursal. Further, when approval rates were examined on the basis of gender, the study found that men received higher approval rates than women did each year between 2013 and 2017.